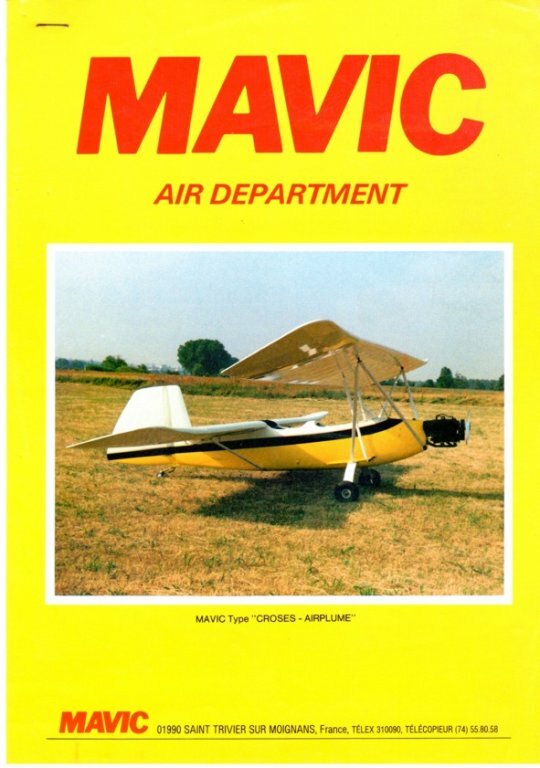 Apparently, around 1984, Mavic opened their Air Department. Bruno Gormand, head of Mavic and the driving force behind their innovation since the mid-60s, was, it would seem, something of a modern renaissance man, pushing Mavic beyond the earth-bound limitations of bicycles. Those limitations would return following his death in 1985, and the dissolution of the Air Department. 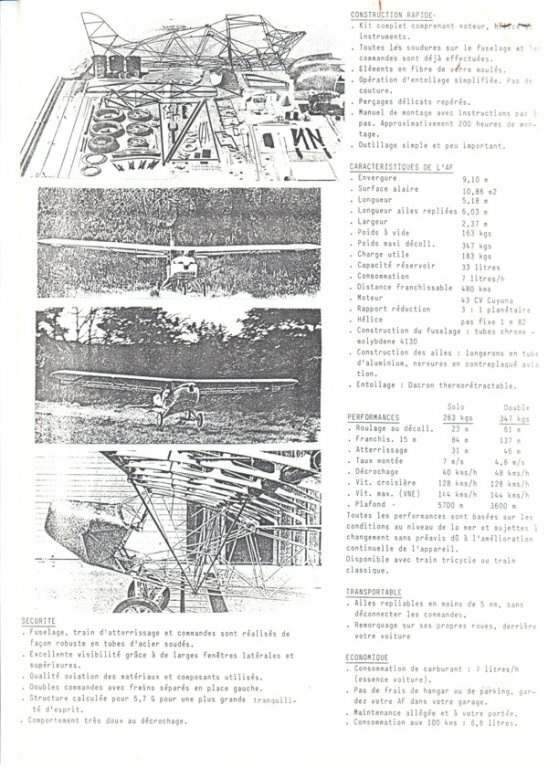 The top image is of the 'Airplume' plane, an open cockpit 2 seater. The 2nd image is its spec sheet. 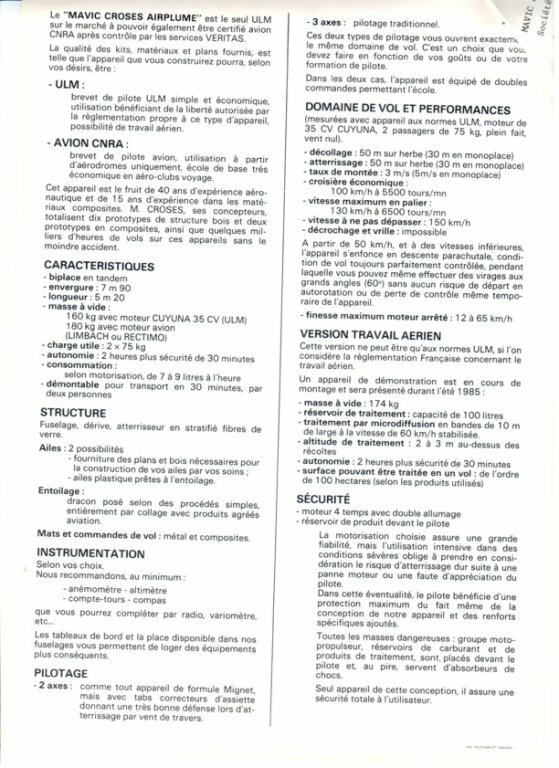 The third shows photos and specs for the 'Avid Flyer' variant Mavic made, which is simply labeled 'Avion Experimental' in the photocopied sheet I have. I haven't included the cover as the quality is fairly low - but would be happy to if requested. Almost 6 units were built. One of this plane was used during 1985's Tour de France to relay radio informations betwween Mavis assistance cars. Eric, thanks so much for telling me this story! Your father sounds like an absolutely fascinating man!